Calgary's recent municipal election wasn't the partisan backlash that some pundits predicted because most voters didn't link their anger at the governing provincial NDP with Mayor Naheed Nenshi, a political scientist says. The Oct. 16 vote — marked by talk of racism, a bombshell from the Calgary Flames ownership and record-breaking voter turnout — was a "most atypical of typical elections," said Jack Lucas in a newsletter on Monday. Lucas, who researches urban politics at the University of Calgary, has been working with several universities on a study of municipal governments in eight Canadian cities, including Calgary. Part of the research includes polling data conducted by Forum Research. The group decided to release its Calgary-specific results ahead of schedule after Mainstreet Research released a poll on the Friday before the election that gave mayoral candidate Bill Smith a 17-point lead over Nenshi. The Forum poll's findings were starkly different, with 49.8 per cent support for Nenshi compared with 33 per cent for Smith. The Forum poll was different from typical political polls, in that it asked more questions and was conducted over a longer period of time, offering a less precise snapshot in time of voting intentions just before an election. The Forum data, which recruited 1,548 participants through random digit dialing to complete an online survey, found that 40 per cent of respondents said they were "very unsatisfied" with the provincial government, and just 13 per cent said they were "very satisfied." Sixty per cent of Calgarians were either "very" or "somewhat" unsatisfied with the provincial NDP. "For dissatisfaction with the NDP to actually affect the municipal race, however, voters also need to associate Naheed Nenshi with the NDP government," Lucas said. Not all that many did, it turned out. While 26 per cent of the Calgary respondents associated Nenshi with the NDP, 24 per cent thought of him as aligned with the provincial Liberals, and more than a third didn't link him with any party. "So while a majority of Calgarians are dissatisfied with the provincial NDP, just a quarter associated Naheed Nenshi with that party," Lucas said. He notes that the Forum poll suggested about three quarters of the anti-NDP vote would go to Smith. "The problem, for Bill Smith, was that just 16 per cent of voters fit this description — not nearly enough to really threaten Nenshi's lead," he said. Many pundits also predicted Calgary's election would turn into a referendum of sorts on the state of the economy, and that voters would punish Nenshi for not doing enough to fix it. But that didn't materialize either, Lucas says. "Anti-incumbent voting based on poor economic performance wasn't nearly strong enough to produce a Nenshi defeat," he said. 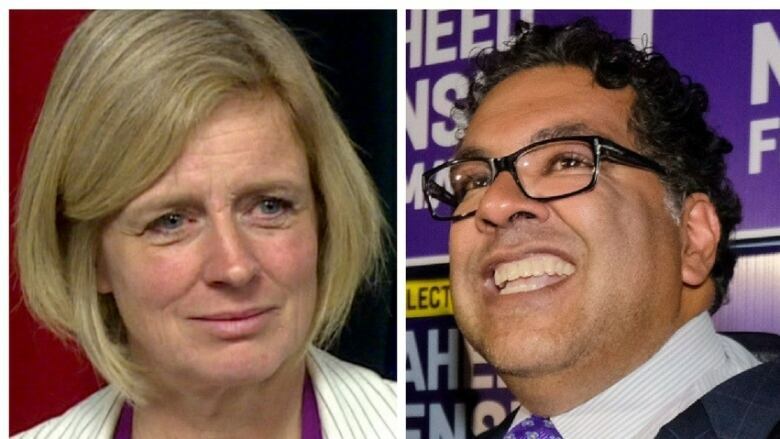 Among voters who believed the economy had worsened in the past year, 49 per cent said they planned to vote for Smith, compared with 33 per cent for Nenshi. "In the other columns, though, it was nothing but good news for Nenshi," Lucas said. Voters who reported feeling that the economy had improved were overwhelmingly Nenshi supporters, and he also dominated among those who felt things were "about the same." Even among voters who felt the economy had gotten worse, a third said they planned to vote for Nenshi — suggesting they did not blame the mayor for the situation. Mainstreet Research, the firm that predicted a landslide victory for Smith, was criticized after the vote, with some claiming its methodology was unsound and even that the company had tried to influence the election's outcome. In a statement on the company's blog Thursday, president Quito Maggi conceded that his firm's results were "completely and totally wrong." He said he was shocked and embarrassed, but he denied any wrongdoing. "It was suggested that we co-ordinated polling with the Bill Smith campaign, conducted push polling, and/or worked for the Calgary Flames organization. None of that could be further from the truth," Maggi wrote. "We sampled using the same methodology we have used to accurately predict hundreds of election outcomes across North America, including dozens of others across Alberta on Monday night and reported those numbers."